Just like any tourist, I was quite confused with the sights to see in Palawan. I had to see the map before I understood it's geography. 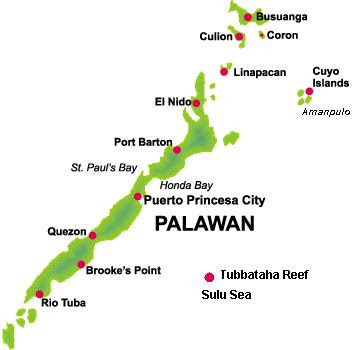 Palawan is a huge archipelago, it may take a month to visit the whole island. 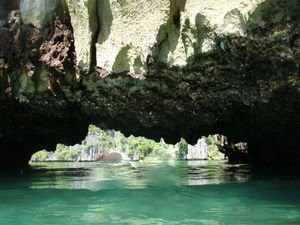 Puerto Princessa (PP) is at it's center, it is the jump off point for Honda Bay Island Hopping and 7 wonders of the world nominee Underground River Tour. 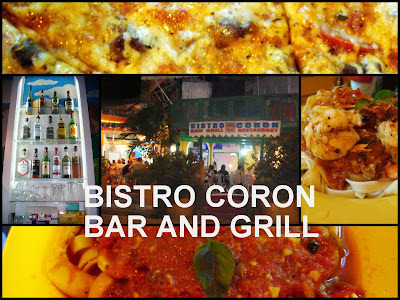 From PP, El Nido is six hours away by land + short boat transfers while Coron is ten hours away by big passenger vessel and Tubbataha Marine Park is twelve hours by boat. 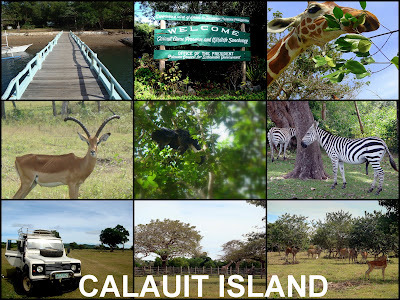 perfect place for adventure lover, much fun if you bring your adventurous friends and of course your GF /BF. Coron is such a lovely place, very transparent whether you feel happy its the best place, Sad its the best place, overwhelmed still the best place. 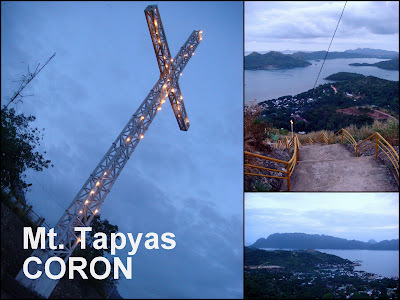 no wonder why it become a top tourist destination in the philippines.